Functional Integrative Rehabilitation Education - What attaches to that hip capsule, anyway? What attaches to that hip capsule, anyway? I was trying to figure to which muscles attached to the labrum of the hip, as I see many folks where theres has gone south. I had always wondered if the iliopsoas attached, since many people with labral pathology have hip flexor dysfunction, where they use their psoas and iliacus as hip flexion initiators (or sometimes the rectus femoris, TFL and sartorius), instead of the abdominals. It turns out that NO MUSCLES attach to the labrum, but some attach to the capsule. 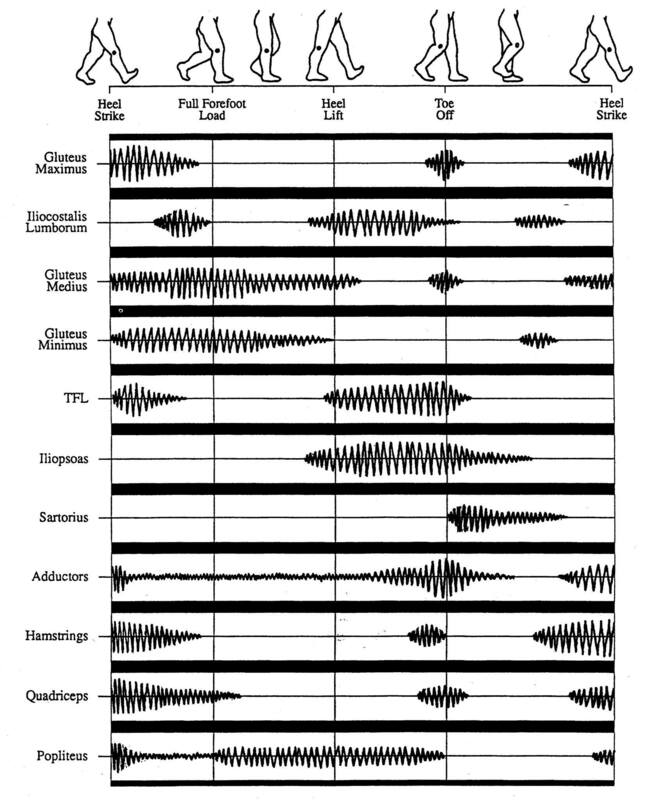 Have you noticed that many of the muscles on the list below (not the obturator internus) are internal rotators AND work during the 1st part of stance phase? Remember "glide and roll"? With internal rotation of the hip comes posterior translation of the femoral head. If these are dysfunctional, you may get capsular "pinching". Think about it with the next patient with hip joint pain from initial contact to midstance. "An updated knowledge of the intricate relationship of the pericapsular and capsular structures is essential in guiding our treatment of the hip. 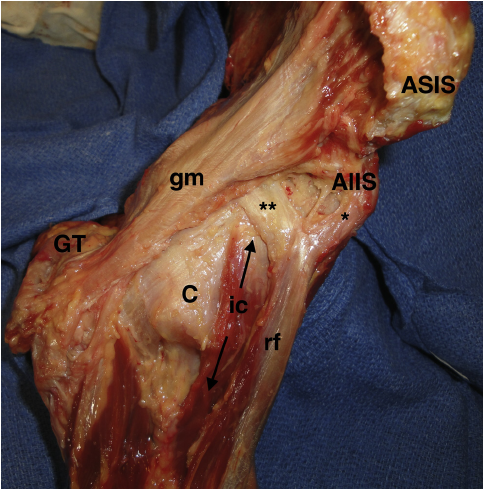 Following dissection the authors were able to discern that the iliocapsularis, indirect head of the rectus, conjoint tendon (of the psoas and iliacus), obturator externus and gluteus minimus all have consistent capsular contributions whereas the piriformis did not have a capsular attachment." So, what are you waiting for? Get out there and needle those muscles! Walters BL, Cooper JH, Rodriguez JA New findings in hip capsular anatomy: dimensions of capsular thickness and pericapsular contributions. Arthroscopy. 2014 Oct;30(10):1235-45. doi: 10.1016/j.arthro.2014.05.012. Epub 2014 Jul 23.